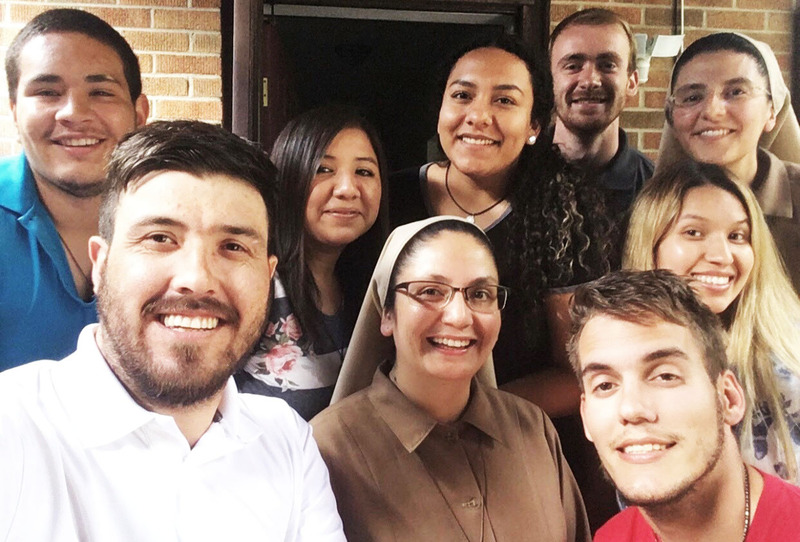 During the July semester of Summer 2018, a group of young leaders were enrolled in Hispanic Ministry in the 21st Century. One of their assignments was to keep a journal to reflect on their border immersion experience and service learning project in evangelization ministry. Below are a few entries from one of the students. Durante el semestre de verano de julio del 2018, un grupo de líderes jóvenes se inscribieron en el Ministerio Hispano en el Siglo XXI. Una de sus tareas era llevar un diario para reflexionar sobre su experiencia de inmersión en la frontera y su proyecto de aprendizaje de servicio en el ministerio de evangelización. A continuación se presentan algunas entradas de una de las alumnas. Today God revealed to me why I came to mission or at least why it was necessary to come this summer to the Mexican American Catholic College (MACC). Throughout the classes in MACC, I did not know why God put me here if most of the classes we took were familiar to me. For example, I had taken a week-long class in the City of Mexico similar to Sister Reyna’s craft class. In Yvone’s class, Mission and Evangelization, I was amazed when she explained the revolution that the second Vatican had in the church because of the belief a missionary Church as whole. It amazed me because although I did not learn that, that was my perception of how God wanted His church to be. When we were in mass and the Father gave the homily, I knew God affirmed to me that I had not lost anything throughout the time I decided to be apart from Him. One of the main reasons why I avoided reaching out to God the past years was that I felt that I was going to have to start all over again, and I did not feel that I was in the place to get involved with the commitment of loving His people. I would feel stress to know that I was very close to God and letting Him lead me was going to take years and that I would have to learn everything again. The homily was nurturing to me, God let me know that I didn’t lose anything that I was already given by Him even if I was apart from Him for so long, even if I didn’t have the best to offer…. and while doing the stations of the cross I remembered that my friend, Jose, once told me that I will never be the same if I go back to God and that our relationship will not be the same either. He said that I’m going to love Him ten times better than how I loved Him before. As the Father blessed us to go mission I picked up the purpose He has planned for my life. Today’s walk along the border made me wonder of how beautiful it would be to see our land free from industrialization, without plastic, without expanding urbanization, without walls and borders. A land where indigenous tribes roamed to seek better hunting ground and water all for survival. Where they understood the value of what they had, and they only sought more when they were at risk. It is disappointing to see that we created things or are allowing situations to happen for the benefit of ignorant beliefs and the urge to think that we need to do something to have more for ourselves, I cannot help but think what our ancestors would say about preventing people to migrate with a wall that is not natural to nature. Our ancestors carried a wisdom that benefited the people. If they were alive today or in the future, I’m sure they would be the first humans people would ask for guidance when we do not know what we can do out of the world we have created. When we had the opportunity to visit the families in their home I was filled with many feelings. It was hard to discern why I was feeling this way. The house of Rosita reminded me of the house my father was raised in, my grandparents’ home in Tamaulipas. It was a small house made from wood and all that fit in there were the beds and a cabinet. The kitchen and restrooms were outside. The way I felt was the way I feel every year when I am leaving to Mexico. I realized that it was because there was a love for my family that filled me and that the love was greater than what we could possibly get from this world. I don’t mean I shouldn’t dream for a better living but living a life where you share your growth and interact with your family to get things done in your home and your lives is a way we can learn to value hard work and learn that your morals and principles are important to follow throughout life because they can guide us on how we should live. When I was working in the field I had my dad in mind at all times, and I prayed for God’s mercy and healing to be poured on him. I did not allow myself to whine knowing he was working in much hotter weather with heavy equipment over his aged body. I have a lot to be grateful for and a lot do for their future. This morning before we headed to Chicago we went to share our experience with young kids who had immigrant parents. When I was mentally preparing the speech I was wondering if they would be open to understand or have interest in what we were going to tell them. It turned out that as I was speaking, God was putting words in my mouth that I needed to hear. HOPE, Faith and Love. I realized that us as Hispanics are part of a beautiful culture that is filled with people with hope that inspire them to dream for the prosperity for their families. The hardships they overcame gave so much light to their kids, and I hope their kids will one day see it. I learned that we have so much to give and offer to one another and if we can recognize what we have or that there is a faith that connects us to the presence and action of the Holy Spirit we can live a simple but FULL life. I was able to see the beauty in the faces of the generations that were thought of when our parents decided to risk it all, and I was able to see that the hope of our parents must live in us, so we can thrive. 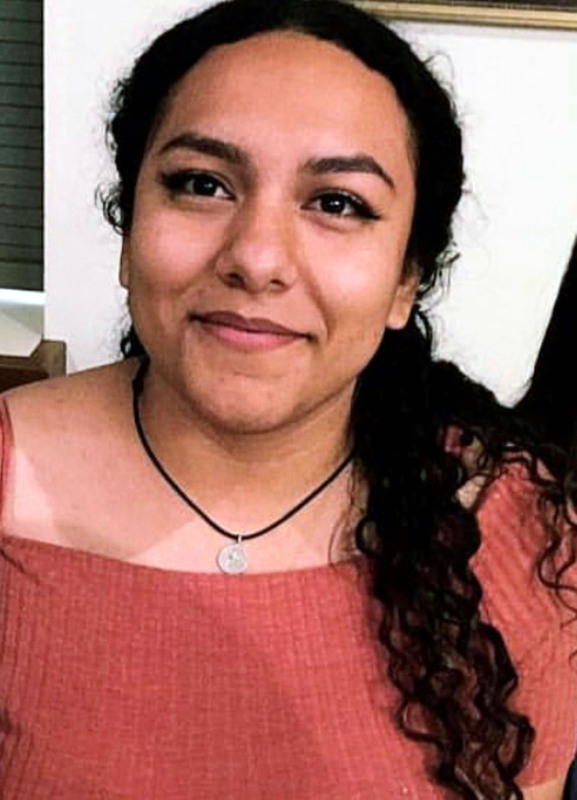 Julia Gonzalez and other young leaders who were enrolled in Hispanic Ministry in the 21st Century completed some of their mission in the Diocese of Kalamazoo in Michigan.